Just downloaded this neat addon from mozillas addon site. The only problem was the slow cube rotation speed. and the speed is doubled. Adblock for Opera 9 ? 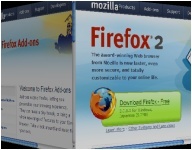 At first, there is no equivalent like Adblock + Filterset.G in Mozilla Firefox for Opera 9 that is as comfortable and efficient. Opera 9 (beta 2) offers the “Block content…” option in its content menu. After pressing it you get some nice preview of what is being blocked from the site. Basicly they use the filter.ini file in Opera’s profile folders. Its a simple list of urls that specify excludes and includes. There have been external tools like OperaAdFilter(link died) and FlashBlock . You can although use external proxy tools that control your whole web traffic for all applications so you could block icq ads and opera ads with one tool. But these tools all suffer from very basic problems. If you block some ads on a web-site the place on the web-site is simply left empty and web-sites look a bit chaotic and unfinished. Adblock in Firefox handles this a lot better. 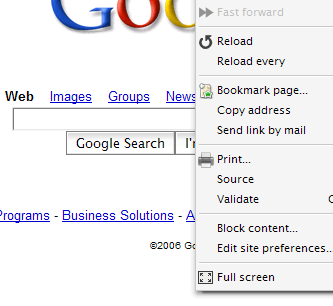 The fact that opera integrated this feature in its gui shows that the developers listened to user requests. Lets hope Opera’s “Block content…” will be as good as Firefox’s Adblock in the final version. if its not there just go back to opera and use ‘tools – advanced – block content’ and create a sampe block. Than the file will be created. Just found this link at dell’s web site offering the display driver and colour calibration profile for the dell 2405 fpw ( manual ). I’ve been searching quite a lot since there is no driver on their documentation CD nor you can find it in their download center. To make it running in Linux (SUSE 10 with gnome) i had to add the following modeline to my xorg.conf ( command: sudo gedit /etc/X11/xorg.conf ) and set the correct resolution in the gnome control center ( “Screen Resolution”). But there is still a problem. In Linux i got heavy tearing in games and on the overall work-flow. Windows XP doesn’t show this effect so i wonder what’s the difference. You want to try Linux but dont want to mess up your PC ? Well, I’m a Windows XP user and i just wanted to try Linux. Why ? 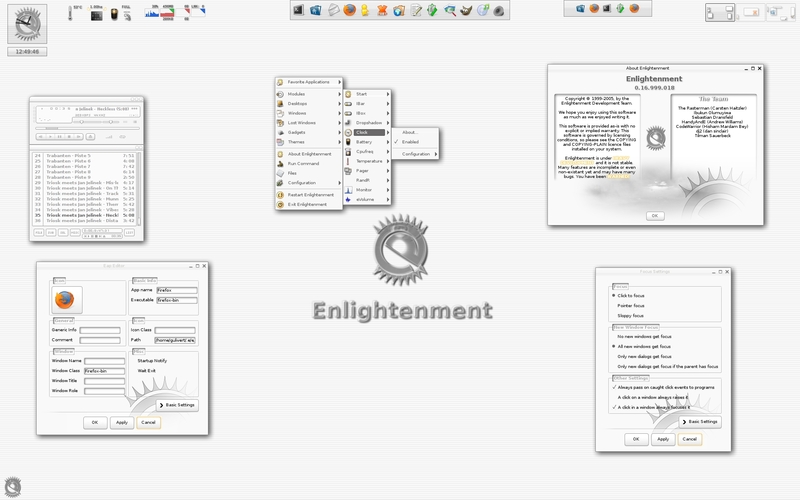 Because i found some really nice screenshots of a Linux desktop. Its a theme for some X window manager called e17. I downloaded various Linux distributions and tried to install e17 somehow but without success. In the end i found elive , its some debian based distribution with pre-installed e17 window manager. I had to do the hd-install in my virtual machine and found this guide on how to setup. Than upgrade the whole distribution with apt-get. Some minor tweaks were made with the help of the people from the freenode irc channel #elive (big thanks to Thanatermesis). And finally i got the theme running. That whole e17 project is in pre-alpha state (0.3) so its very buggy, i had lots of crashes in various programs, some didn’t work at all. After all i found fluxbox some window manager that seems to be made for custom skins. I grabbed the Suse 10.0 64 bit Eval DVD and now I’m going to install it on my real system. I found the fluxbox 64 bit rpm as well and the way is all clear now. Linux I’m coming ! Switching to the dark side of the force, i hope it will be fun. update: Tried suse 10 (64 bit) with gnome and kde. Its not that easy to get all stuff installed for 64 bit OS. DVD-playback(mplayer), mp3–playback(xmms) and tv-playback(Zapping TV Viewer) were my biggest hopes. But when i have video-playback i missed sound-playback and vice versa. Its just too much effort to get all things running and keep em running. I’ll better try the 32–bit Suse 10 and see if its really easier to get things done.